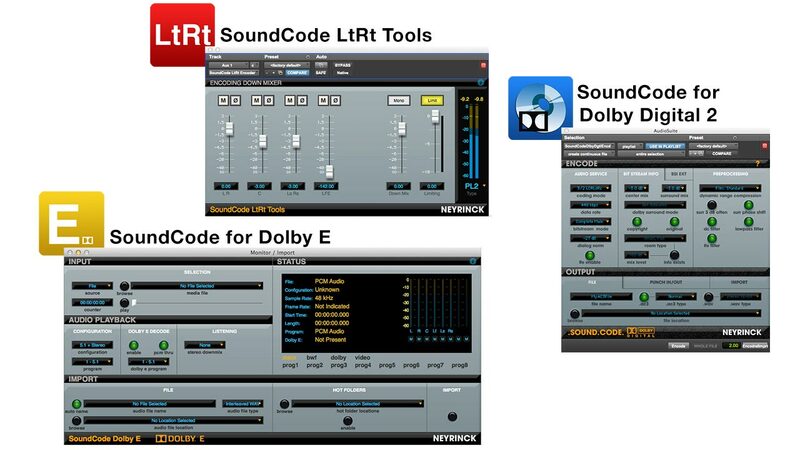 The SoundCode Broadcast Supreme Bundle is a suite of software tools making it easy to mix, encode, decode, and deliver audio for TV broadcast. 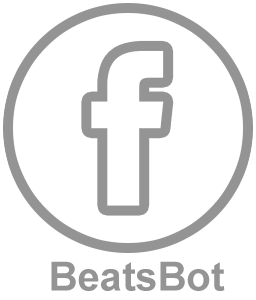 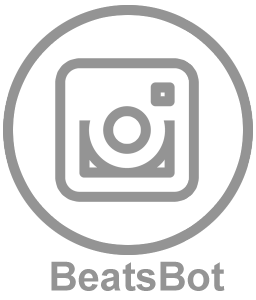 It provides LtRt, Dolby Pro Logic IIx, Dolby Digital, and Dolby E technologies so you can meet delivery specifications for broadcasters worldwide. 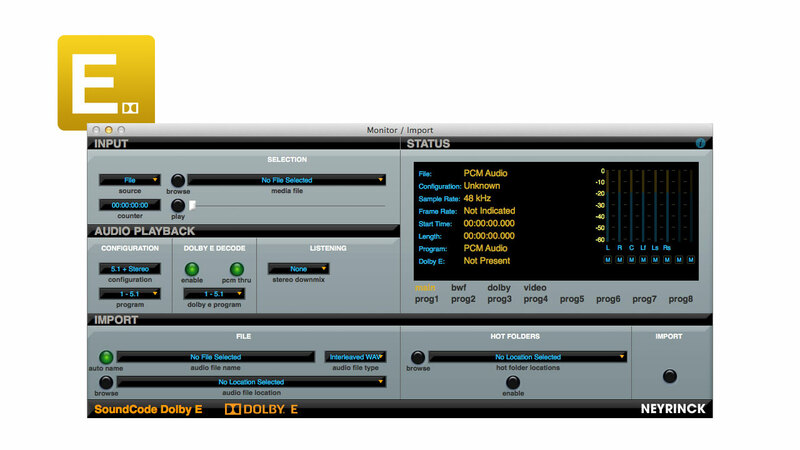 Standalone application, and Pro Tools AAX plug-ins, for fast and easy Dolby E encoding and decoding on Mac or Windows. 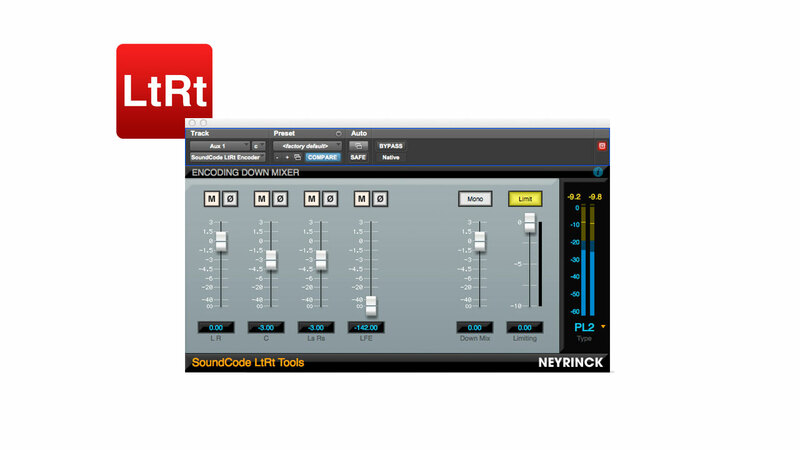 Suite of AAX plug-ins for monitoring and delivering LtRt encoded audio compatible with Pro Logic™ decoders. 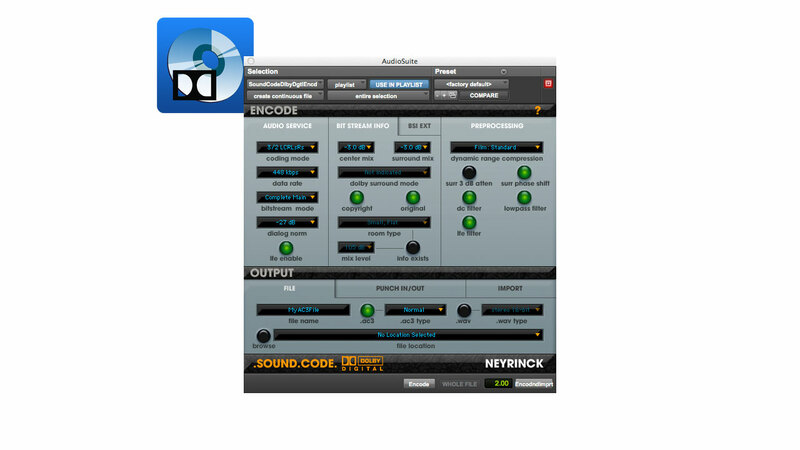 Mastering-quality AAX plug-in workflow tools that enable you to preview, encode, and decode Dolby Digital (AC-3) audio directly within Pro Tools, without the need for dedicated Dolby hardware.